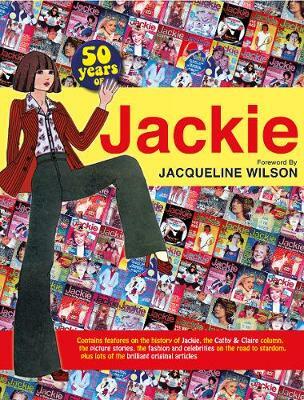 Jackie Magazine was the iconic must-have read for all teenage girls in Britain from the 1960s to the 1990s. Covering everything from the latest gossip on the current pop idols to high-street fashions and mixed with comic-strip stories of love and romance, it provided a wealth of advice on makeup trends, understanding relationships with boys and parents and how to choose careers. Whether you wanted to shape up for the summer or wrap up for Christmas, Jackie had it covered. In a bumper-packed, full-colour nostalgia feast, Jackie at 50 celebrates a golden anniversary by taking a walk down memory lane with a compilation of stories, articles, quizzes and practical advice galore from the original Jackie Magazines. Along with special articles written by many of the original editors who worked on Jackie, this fun-packed assortment of highlights recalls the days when Donny Osmond and David Cassidy ruled the airwaves, Elton still had his own hair and 10cc was a band and not just a measurement.